The new Olympus 12-40mm ƒ/2.8 Zuiko PRO was introduced alongside the Olympus OM-D E-M1 and is part of the company's new "Zuiko PRO" line of professional-grade Micro Four Thirds lenses. The 12-40mm focal range translates to a 24-80mm field of view in 35mm terms, and with the constant ƒ/2.8 aperture, this new Olympus lens is a very versatile lens that should work great in low-light. It's also a rugged lens with splash-, dust- and freeze-proof construction, which makes it a great match with the equally-rugged E-M1. Olympus is trying to capture some of the professional market with its new E-M1 and a professional series of lenses. Typical 24-70mm ƒ/2.8 lenses are a favorite amongst photojournalists, for example, but are usually quite large and heavy. The compact size of the new Olympus 12-40mm lens should be a big draw for these users, as well as others who are constantly on the go, shoot in harsh environments or simply need a rugged, fast zoom lens in a small package. The Olympus 12-40mm ƒ/2.8 Zuiko PRO lens ships with front and rear lens caps, a lens hood and a case. It has not been released yet, but it is available for pre-order for $999. Overall, the new Olympus 12-40mm ƒ/2.8 Zuiko PRO is a very sharp lens, even wide open and throughout the entire zoom range. There's also very little corner softness at ƒ/2.8 at each focal length we tested. We saw just a bit more corner softness at 40mm at ƒ/2.8, but it was extremely minor. Stopping down to ƒ/4 to ƒ/5.6, you have the "sweet spot" of apertures for critical sharpness at all focal lengths. Corner to corner, the lens displays fantastically sharp images in this range of apertures. We did see some diffraction softness come into play at the smaller apertures such as ƒ/16-ƒ/22, but overall it wasn't very severe. We found that the amount of chromatic aberration varied a bit depending on the focal length, although it's generally very well-controlled. At 12mm, the average CA stays practically constant throughout the range of apertures at less than 300ths of a percent of frame height. At the longer focal lengths, however, we saw very low CA between 30-40mm, which was lower on average than the wider focal lengths. Interestingly, as you stop down, CA appears to increase at 35mm, but we see an opposite behavior at 40mm. Vignetting on the Olympus 12-40mm lens is very well controlled throughout the entire aperture range and at all focal lengths. There is some vignetting at apertures wider than ƒ/5.6, but light falloff never even reaches half a stop. In fact, most focal lengths show closer to a quarter of a stop of light falloff between ƒ/2.8 and ƒ/5.6 (12mm shows a little more between ƒ/2.8-ƒ/4). The Olympus 12-40mm lens is great at controlling distortion. In fact, distortion is practically non-existent with this lens. The corners at 12mm show only around 0.25% barrel distortion and even less so at 14mm. There's a bit of a dip to a little pincushion distortion at 18mm in the corners, but it's extremely minor, bordering on unnoticeable. At 25mm and beyond, average distortion and in the corners is almost zero. The Olympus 12-40mm ƒ/2.8 Zuiko PRO is very fast to autofocus. The electrical AF system takes less than a second to rack from minimum to infinity focus. The new 12-40mm lens features Olympus' MSC ("Movie & Still Compatible") focusing mechanism, for full-time AF in both stills and video that's also very quiet so as not to introduce focusing noises in video recordings. The MSC system does away with a geared system for moving the lens elements when focusing, which can cause unwanted noise. Instead, it uses a linear motor drive system for fast actuation. Coupled with a lens construction where only two cemented lenses are moved to adjust focus, the Olympus 12-40mm ƒ/2.8 Zuiko PRO focuses quickly, smoothly and quietly. The front element does not extend nor does it rotate during focusing (and zooming), making accessories such as circular polarizers easy to use with this lens. Manual focusing is also available on this lens, both as full manual focus as well as full-time manual focus override while AF is enabled. When using Olympus cameras, users can set the camera to "S-AF+MF," and after half-pressing the shutter and achieving AF, you can turn the focus ring and make manual focus adjustments. 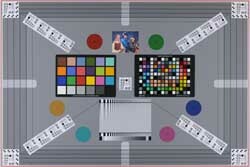 This also works with Panasonic cameras as well, when "AF+MF" is enabled. For full-time manual focusing, pulling back on the focus ring clutch engages manual focus (and displays focus markings). This lens isn’t specifically built for macro, with a maximum magnification ratio of 0.3x / 1:3.3 (0.6x / 1:1.7 in 35mm eq.) and a minimum close-focusing distance of around 20cm (7.87 in.). Still, the Olympus 12-40mm ƒ/2.8 Zuiko PRO provides a respectable performance in the macro category. Being a lens designed for professional use, the Olympus 12-40mm ƒ/2.8 Zuiko PRO is built as such, with an all-metal construction that's splash-proof, dust-proof and freeze-proof. The front element is weather-sealed, as is the lens mount with a rubbery gasket to form a tight seal against the camera. When mounting this lens to a camera, it feels very securely locked in the mount, with the weather-sealing gasket providing a tight, reassuringly snug fit. In terms of size and weight, the new Olympus 12-40mm lens is quite large and heavy compared to the average Micro Four Thirds lens. In fact, it would match quite nicely on a smaller to mid-size DSLR. The lens weighs around 380g (0.84 lbs) and measures around 84mm (3.3 inches) long with a 2.78 inch diameter (70mm). For screw-on filters, the Olympus 12-40mm has 62mm threads. The petal-shaped lens hood locks onto the front of the lens, bayonet-style, and adds only about one inch of extra length (and barely any extra width). The hood moves with the barrel as it extends during zooming. It also securely locks onto the front flanges and two push-button locks must be pressed to remove the lens hood -- a nice touch! Despite the larger size and weight, it feels great in the hand and balances nicely with both the larger Olympus E-M1 and smaller MFT cameras like our Panasonic GX1 test camera. The larger size makes it easier to hold, and helps keep smaller cameras more stable. There are two rings on this lens, the zoom ring and the focus ring. The zoom ring is located closer to the camera body and is about one inch long and has metal ribbing for an easy grip. It rotates smoothly, but has a nice resistance, which is stiff enough that it won't creep, but it definitely takes two fingers to rotate. This lens, while an internally focusing lens, is not an internally zooming lens, and will extend while zooming. It actually extends ever so slightly from 12mm until about 18mm, then from 18mm onwards, it extends more significantly, about an extra inch or so. Further out is the smaller, metal-ribbed focus ring, which is about half an inch wide. It rotates easier and smoother than the zoom ring. When you want manual focus, pull the ring toward you to engage manual focusing and reveal the focus distance scale. The focus ring will rotate indefinitely when using autofocus but will rotate about 90 degrees in manual focus with hard stops at either end. In terms of the optical construction, the new Olympus 12-40mm ƒ/2.8 Zuiko PRO is comprised of 14 elements in 9 groups, with two EF elements, 1 EDA lens, 2 HR lenses, 1 HD lens, 1 DSA lens and 2 aspherical lenses. It has a 7-bladed circular aperture that stops down to ƒ/22. The Olympus 12-40mm ƒ/2.8 Zuiko PRO represents a new category for Micro Four Thirds lenses, and as such, there arenot many direct competitors that can be seen as alternatives. Nevertheless, there are options out there. Perhaps the closest alternative to the Olympus is Panasonic's 12-35mm ƒ/2.8 lens. With it you get a similar, albeit slightly shorter focal length range and a constant ƒ/2.8 aperture. It also features built-in optical image stabilization, which might be a moot point for Olympus users as most of the company's cameras feature sensor shift IS. It's also a very sharp lens at all focal lengths and does well at controlling CA, but it shows more distortion and more vignetting than the Olympus -- and it's more expensive. It's not a professional-grade lens with metal construction, but it does have weather sealing, and is a really sharp lens. And while you get an extra 10mm on the long end, you sacrifice a fast ƒ/2.8 aperture for a variable ƒ/3.5-6.3. This lens also does significantly worse with chromatic aberration, as well as distortion and vignetting at the wider end, but at around $500, it's half the price of the 12-40mm, and it has a dedicated macro mode. Like the previous example, this lens will get you similar focal lengths, but at the cost of a fast, constant aperture. The 14-42mm lens produces sharp photos, however it's much worse at CA and vignetting compared to the new Olympus 12-40mm. Distortion is a also worse at the wider end, but does fantastic from 18mm and onwards. It's also extremely affordable at only $300. The new Olympus 12-40mm ƒ/2.8 Zuiko PRO is a powerhouse of a lens with excellent optical performance: sharp images, great CA control, hardly any distortion and low vignetting. The rugged, metal build quality that's dust-, splash- and freeze-proof really makes this lens an option for professional photographers who've been wanting to move to a smaller, more portable camera system but were too underwhelmed by the lens selection and performance to do so. With the Olympus 12-40mm lens, Olympus has stepped up the game for Micro Four Thirds lenses. Olympus has a history of making really great glass, especially with its older, larger Four Thirds system. With this new Zuiko PRO line, Olympus is trying to attract professionals back, as many of them likely switched to DSLRs from the larger camera manufacturers with their rugged, versatile fast ƒ/2.8 lenses. Now, Olympus has shown that it can make a lens with the optical quality as well as build quality that these users demand, and professional photographers such as photojournalists and adventure photographers should take note. Check out a gallery of real-world sample photos over on our Flickr page. This is my second 12-40. Only sold my first one as I went to another system. The sheer quality of this lens brought me back to Olympus. Excellent quality can be achieved with this lens. Very sharp at all focal lengths. I bought this lens with a second OM-D E-M5 body (1st edition) when that camera was near the end of its life where effectively you could consider I bought the lens and got the camera body for $100, or I bought the camera body and got the lens for $100. I was expecting a great lens after reading the reviews and I was still blowed away. I think the limiting factor with this lens is the camera rather than the lens itself. Superbly sharp, great images from wide open at all focal lengths. Distortion may be a little higher than the Olympus 12mm f/2 but I simply don't use that prime any more since getting the 12-40. The focal length is fine and with the f/2.8 aperture does OK as a short portrait lens. Despite the size of this lens, it does well as a walkabout lens. The manual focus is a joy with the Olympus push-pull manual focus clutch mechanism and the build quality is fantastic. This is a fantastic lens. Optically it is brilliant, and it is packed in small and sturdy package. Add to that macro capabilities, and you have a winner. The focus is also brilliantly fast at focusing, even in dark conditions. I tested this lens for a week prior buying E-M1, but didn't go for it as I had 14-54 already from old system. Optically, 14-54 is inferior to 12-40, but not dramatically. 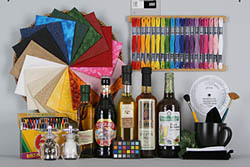 12-40 is sharper and produce images with more contrast. It is also better controlled optically. The only issue with this lens is that it is no that fast optically. If it would be a F2.0 in this package, I would buy this lens this instant, for whatever price point. The lens is good. But it's not outstanding. You notice this, as soon as you use a RAW converter, that doesn't automatically do some correction magic. Sharpness is good in the center, but the uncorrected RAW suffers from severe distortion and vignetting. Furthermore both sharpness and contrast reduce quite a bit when you go near 40mm. While many things are good (focus speed, near focus distance) the one thing that disappointed me the most (and which even made me buy into another system) was the bokeh at greater distances. It can ruins pictures. (Also the sharpness when focussed close to infinity seems to be a lot less than at close range. It seems, that this lens was optimised for close focus and that is the reason why it performs quite well in measurements. Fast, well built, close focusing, weather resistant, sharp. EDIT: Thought of one. The auto manual clutched focus ring can be a little loose. Easy to bump it from auto focus to mechanical manual focus. Minor issue but I've done it a few times. Would be nice if it was a little stiffer to pull back. This lens successfully out resolves the sensor on my OMD M1. The build quality is on a different level to many other 4/3 lenses and is a pleasure to use. Being realistic I cant give the lens a 10 as its probably not as sharp as, say the 75/f1.8 but for a zoom it is outstanding. The only issue is distant bokeh, where the "real" F2.8 becomes an effective F5.6 and it can look very busy compared to my FX. Interestingly, out of focus areas in the near fore and background look great. The fact is this is a great landscape lens where DOF is important, it focuses as close as 150mm from the lens and is certainly good enough for a quick portrait against neutral backgrounds. Spending $900 doesn't get better than this. The lens is a real surprise: very fast to autofocus, and very, very sharp. Colours are pleasing and saturated, and the out of focus areas tend to be gentle, not harsh. Optically, a real winner, and one of the very few lenses I dare use wide open with nary a thought. The only negative is the speed: f2.8 might seem fast, but on the m4/3s format it is indeed a pretty limiting factor, as it forces you to raise your iso quickly as light gets dimmer, and makes it difficult to get much out of focus (or any at all...) unless you're shooting very near subjects. This lens becomes the defining do-it-all-and-anywhere for any m4/3 system. Optically, this is one of the best zoom lenses I’ve ever used. Minimal CA at all apertures & smooth bokeh. It can replace a couple of primes quite easily, especially the Olympus 12mm f/2.0. Perfect travel pairing for my E-M5 (with the top part of the HLD-6 Battery Grip attached for better handling). In reality, imagine having the equivalent of the Canon 24-70 f/2.8 L at basically less than half the price. 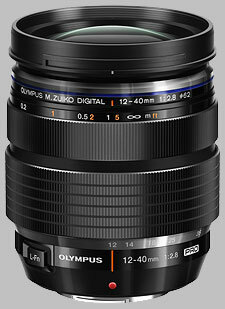 That's where the MFT format's latest pro lens from Olympus leads us. Top notch build quality, tack sharp wide open, beautiful color rendition. Not to mention being weather resistant, along with easy clutch mechanism to switch from AF/MF. Having been a long time user of both Canon and Nikon, I've switched to the OM-D E-M1 with this glass and haven't looked back. Not cheap, but taken in perspective to pro glass prices from the big two, it's a bargain. Highly recommended. If you had a place higher I woud give this a 12-15. Sensational lens,and I was a sceptic about the 4/3 format. Went out with it first day to shoot anthing in our area and edge and center were so sharp. Great color and bokeh. All of the reviews do not say how great. There's really not much to say about this zoomlens. It's a great performer at all apertures and at every focal length. If you pixel peep, you'll find that it's a tad softer in the corners when zoomed past 25mm, but that's about it. I can't imagine this to be a problem in real life. If it is a problem, just set the aperture to f/4 to get photos that are evenly sharp from corner to corner. CA and distortion are both very low and the bokeh is okay for this type of lens. Most of the time it's not creamy smooth, but it's not harsh either. I thought the Panasonic 12-35mm f/2.8 was good, and it is, but I like this Olympus even better. It has less distortion and CA and it's sharper on the wide end. It seems to me that this lens gives a more consistent output then the Panasonic f/2.8 zoom. The biggest surprise may be that it comes with a lens hood. Focussing is quick and silent. Zooming is smooth, but my copy does emit a strange faint rubbery squeaking sound when the camera (E-M5) is turned on. When the camera is powered down, the sound disappears. I have absolutely no idea what it can be. Maybe some small electronic motors that start moving while zooming the lens in and out. Anyway, it's no big deal. You can get really close with this lens. I think it's a very nice option to have and I can imagine that many photographers don't need an extra macro lens. This Olympus 12-40mm might very well be the only lens many people ever need. Especially when combined with the very efficient Olympus in body stabilization. It's a do it all kind of lens. And it does it well too. The build quality is really good. Just like the Panasonic 12-35mm f/2.8. The Olympus is bigger and slightly heavier though. For a 24-70 f/2.8 equivalent it's pretty small of course. This is a lens that really makes me wonder if I should keep the Olympus 12mm f/2. The prime is slightly sharper in the center, but I doubt it will be visible in real world photography. I'm under the impression that the zoom is sharper in the corners, impressive! I think the Olympus 12-40mm f/2.8 Pro is a great lens and definitively worth it's somewhat hefty price tag. Anyway, in my opinion it lives up to its 'Pro' label.